Ever since the Google Pixel program kicked off a year ago, the search giant has made a statement in the smartphone world – that it is now ready to go head to head with the likes of Apple and Samsung. Over a larger part of the last decade, Google has kept its focus on the software realm, but lately, things have been changing as the company switches attention to the hardware world. Of course, the company’s focus on software was obvious because it has largely remained to be software-based. As you may know already, all those Nexuses were not made by Google, instead, the company partnered with device makers such as HTC, Samsung, Motorola, LG and others to make them. Until last year, this was true, but things changed with the launch of the “Made by Google” program that is spearheaded by the Google Pixel phones. Having achieved maturity in the software world, Google now wants to take on the big names in the hardware industry, but from the past two releases, it’s obvious that the company is still taking baby steps. The Google Pixel and Pixel XL had a few hardware issues. Some users reported issues with a lens flare due to the physical design of the camera while others had issues with the microphone – something the company acknowledged as hardware-related. While Google said that this problem was only affecting less than 1% of all OG Pixels, the major hardware problem these two experienced was actually related to their availability. Many people were willing to buy the phone, but availability was a major problem not just in the U.S., but also in other markets across the globe. Shortage of devices on the market is not a typical characteristic of a novice OEM, especially since we’ve always had a shortage of iPhones on release dates yet Apple isn’t any novice in the business. However, Google’s continued struggles in the smartphone hardware with respect to the Pixel 2 XL highlight the company’s inexperience in the business. For the few weeks the Google Pixel 2 and Pixel 2 XL have been around, some sections are not impressed at all. We’ve already highlighted a number of problems about the Pixel 2 XL display screen, but it appears that even more problems keep creeping in. While Google claims these issues can be solved through software updates, the fact that the company didn’t get it right at the first attempt adds more weight to this argument. For a phone that costs $850 off-contract, there’s really no room for error and with the Google Pixel 2 XL showing all sorts of frailties, it’s hard for anyone to put 100% trust in Google’s hardware efforts, at least for now. Of course, I say “at least for now” because there’s always room for improvement. As noted earlier, this is Google’s second attempt at a Made by Google device and it’s obvious the company has still got a long way to go. Of course, Google fanboys will be quick to point out that the Pixel 2 XL (including OG Pixels) issues are nothing like the infamous Samsung Galaxy Note 7 with its exploding batteries or even Apple’s 30% battery bug. 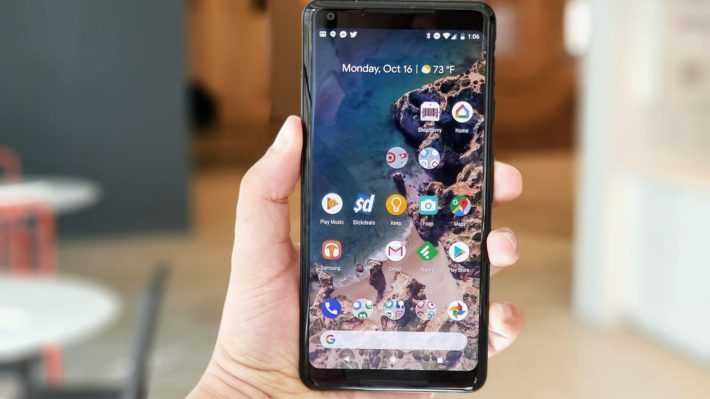 However, looking at Google’s ability to deliver the Pixels to markets across the globe, it’s hard disputing the company’s immaturity in the hardware smartphone business.